So wrote Albrecht Dürer in his diary in 1520 after encountering Aztec works of art at the palace of King Charles V in Brussels. Four hundred years later, ancient American sculptures had the same captivating effect on contemporary artists such as Henry Moore, Paul Gaugin, Diego Rivera, and Pablo Picasso. 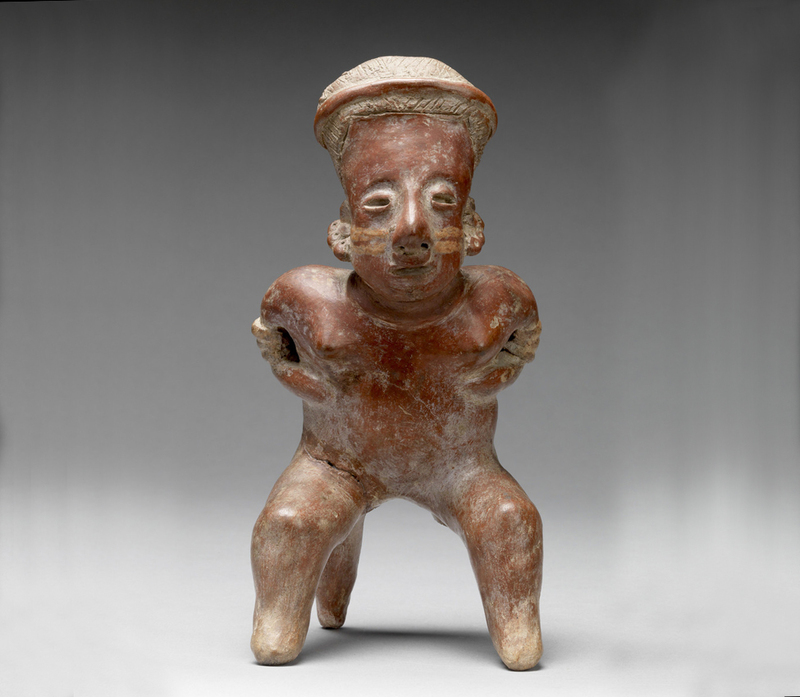 Brilliantly-painted Nasca pots, rich Chimú blackware, and animated West Mexican figurines are among the captivating objects on display in Mount Holyoke College Art Museum's, Transported and Translated: Arts of the Ancient Americas. The selection of intriguing vessels and sculptures brings to light a lesser-known strength within the Museum’s collection, and is, in many ways, the result of an “excavation” among its own holdings. 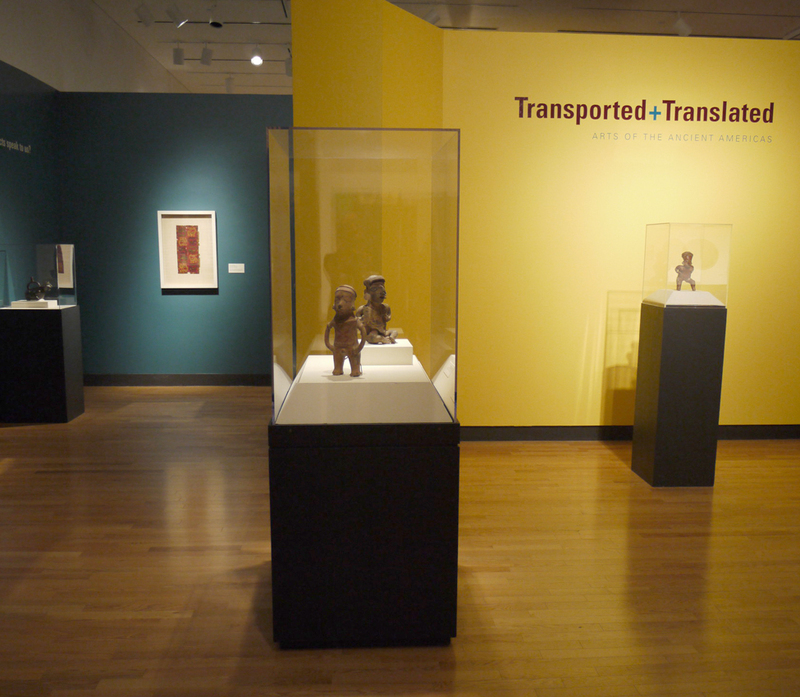 Transported and Translated introduces visitors to the visually rich cultures that occupied Mesoamerica and the Andean region of South America from roughly 600 BCE to the time of the Spanish Conquest in the early 16th century. On view alongside pottery and sculptures from the Mount Holyoke are codex replicas from the Smith College Libraries and textiles, ceramics, and sculptures from the Mead Art Museum at Amherst College. 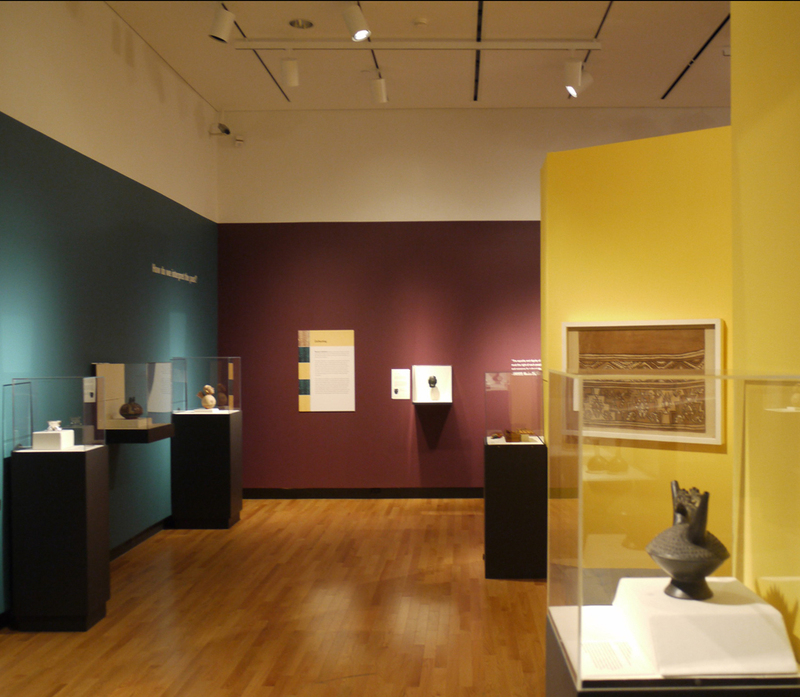 Amid this diverse presentation of forms, including a gold beaker and vessels displaying animated anthropomorphic beings, viewers are challenged not just to observe and appreciate the objects for their aesthetic value, but also to critically consider the many issues underlying the formation of a public or private collection of ancient works of art. Transported and Translated presents a cultural investigation of Latin America. For these cultures where written languages were the exception and the earliest accounts rely on documentation of the Spanish Conquistadors, each object can be valued as a physical preservation of a lost heritage. Curated by 31 Smith and Mount Holyoke students with the guidance of Five College Assistant Professor of Anthropology, Elizabeth Klarich, Smith College Professor of Art History, Dana Leibsohn, and Art Museum staff, Transported and Translated: Arts of the Ancient Americas grew out of the final project for parallel classes offered by the two professors. As an exploratory exhibition engendered by an academic partnership, it is the first of its kind at the Mount Holyoke College Art Museum.